5 REASONS TO PRE-ORDER YOUR CARDS NOW! 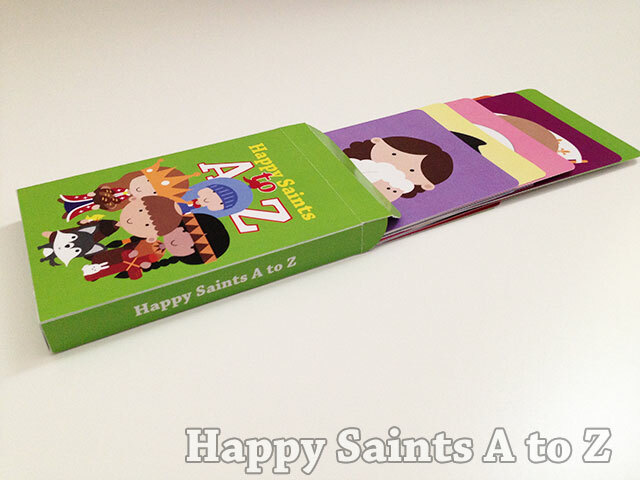 If you are thinking of getting the Happy Saints A to Z cards only after the crowd funding campaign is over, here are 5 reasons to pre-order them now! 1. MAKE IT HAPPEN! The cards will only go into production if there are enough pre-orders. Otherwise all pledges are refunded and there is no risk to you. Your contribution makes a difference to turn this project into reality for everyone! 2. FREE SHIPPING! You may have noticed that there are no shipping charges. This is because I am absorbing the costs during the campaign period. When the campaign is over, shipping charges are applicable for every order. 3. FREE DIGITAL VERSION! When you pre-order the printed card sets during the campaign period, you get the digital PDF version free! After the end of the campaign, printed and digital versions will be priced separately. 4. LIMITED EDITION EXTRAS! Pre-order now and you can add on items that are only available during the campaign period, such as posters and customs artwork! 5. IN TIME FOR CHRISTMAS! Priority is given to pre-orders to ensure that they are ready and shipped to contributors in time for Christmas!